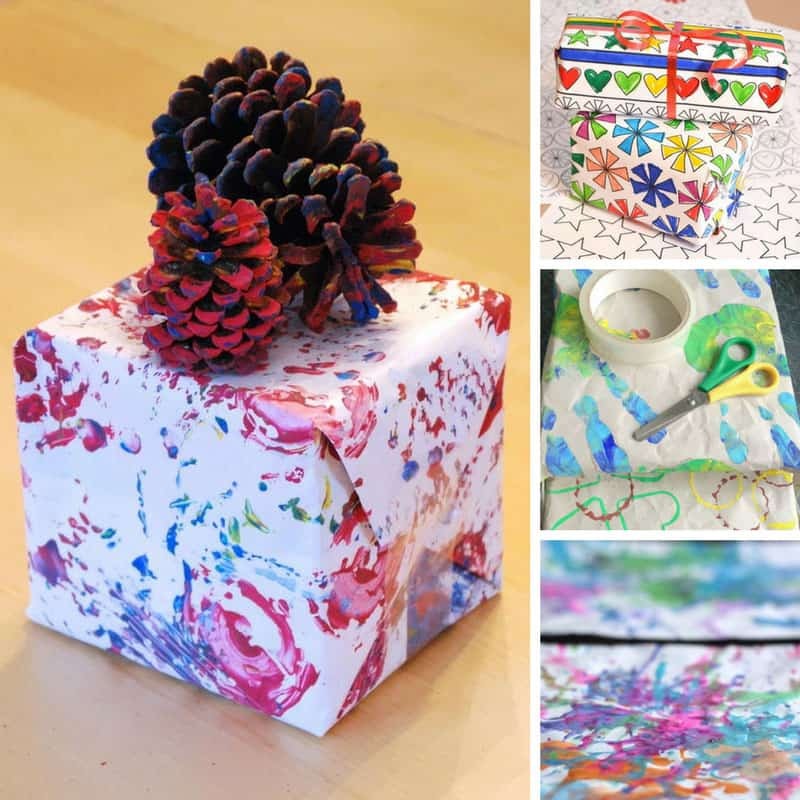 Home > Holidays > 2019 Christmas Food, Decor & Craft Ideas > 10 Super Fun Homemade Wrapping Paper Crafts that Will Make Your Gifts Look FABULOUS! Thanks to this homemade wrapping paper the gifts will look so fabulous no one will want to unwrap them! And it’s so easy the kids can make the paper! 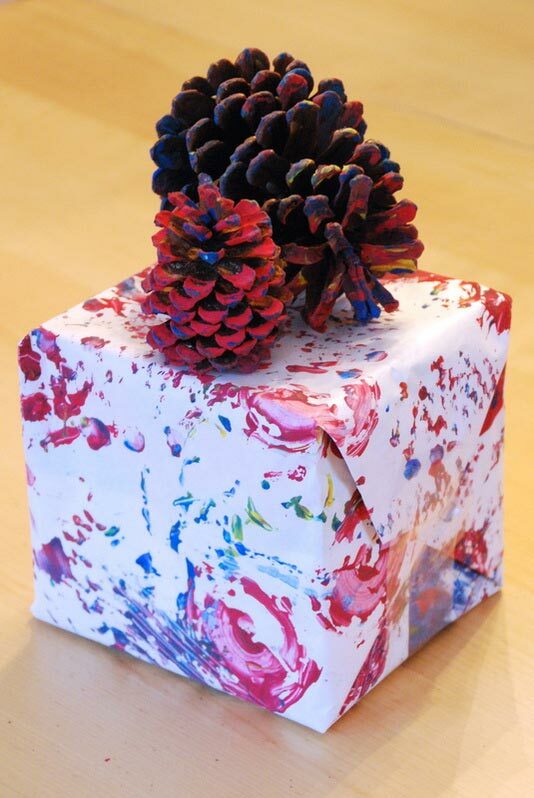 Make your gifts stand out from the crowd this year by making some homemade wrapping paper. These crafts are so simple the kids can get involved too! 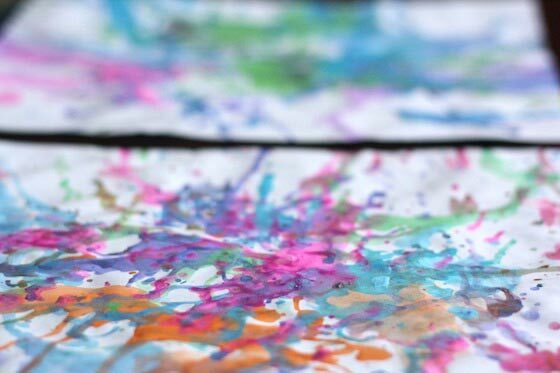 I found everything from upcycled packaging paper to potato printing and even wrapping paper made using edible paint so that even the baby can have fun! Homemade Wrapping Paper – I don’t know about you but I do most of my Christmas shopping online with Amazon, so I have piles of packing paper lying around. Thanks to this tutorial I now know it’s perfect for making homemade wrapping paper! 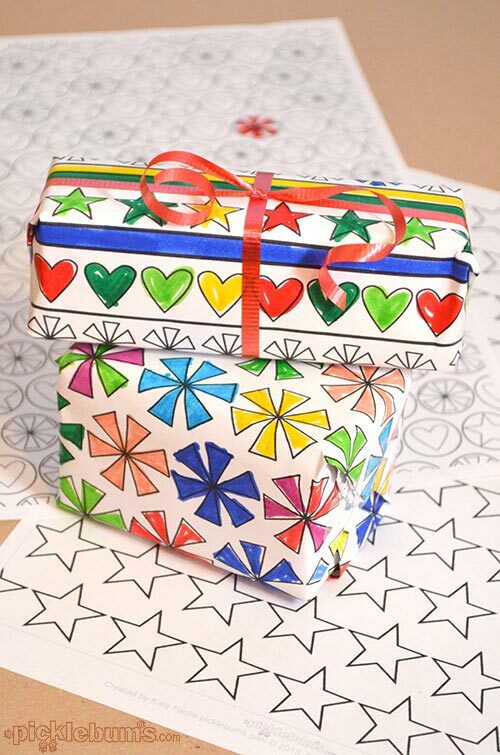 Colour Your Own Wrapping Paper – Perfect for little ones who love to colour, any gift will look amazing wrapped in this colourful paper! 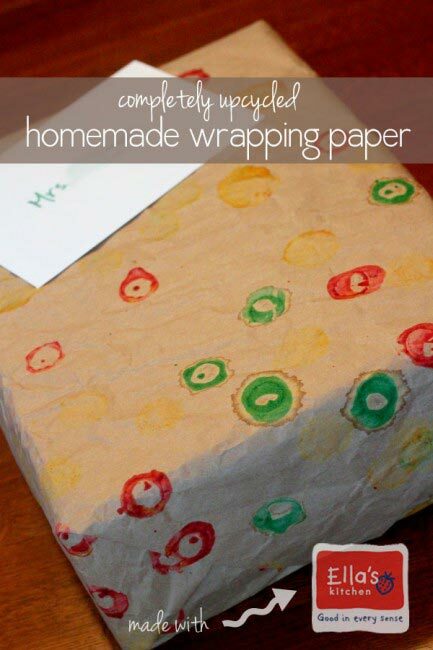 Make Your Own Christmas Wrapping Paper! – It’s a footprint craft! You remember how much I love those right? 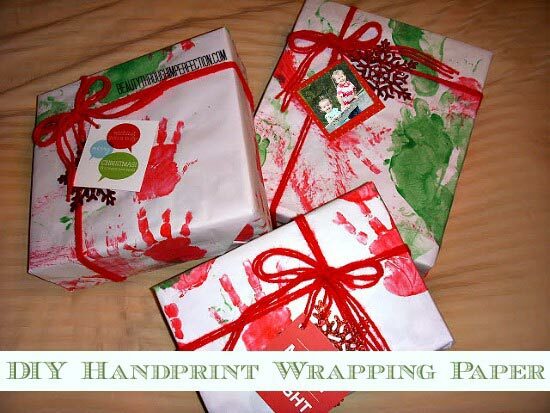 This one is the perfect ‘make your own wrapping paper’ craft for even the youngest child in your house. Definitely a good idea to strip off their clothes and maybe have the bath ready! 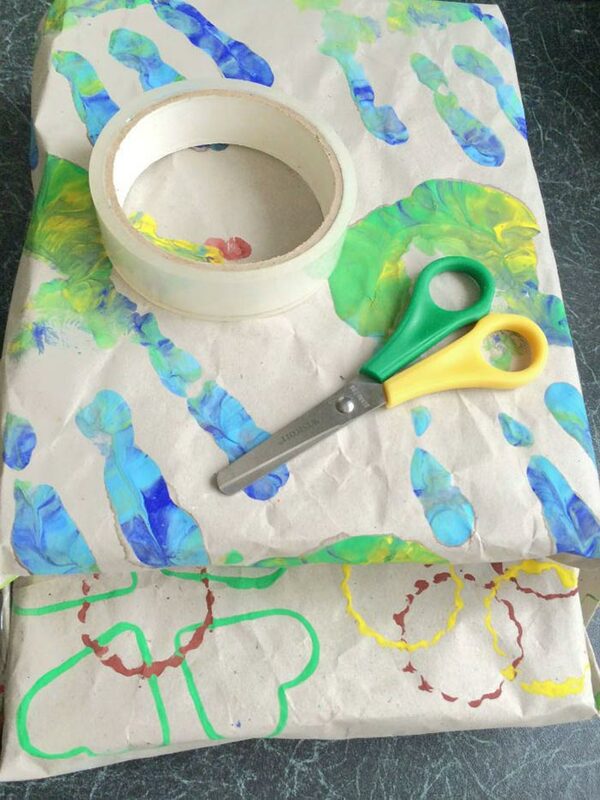 Homemade Wrapping Paper – Ooh this wrapping paper looks amazing, and I reckon you could turn it into a science lesson too for the older kiddos! Homemade Wrapping Paper with Ice Pops – Would you believe me if I told you this wrapping paper was decorated with ice pops? Seriously! Check it out it looks awesome. 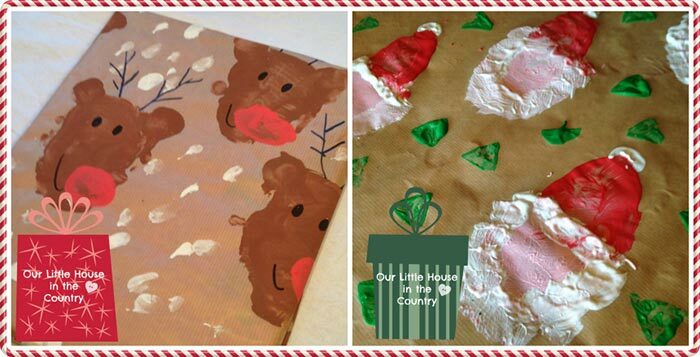 Potato Print Reindeer Christmas Wrapping Paper – Oh this is so adorable! I love the mix of potato and thumbprints on this one. Homemade Pine Cone Print Wrapping Paper – Love, love, love this pine cone paper, especially when you use the pine cones to decorate the gift too! It almost looks too pretty to unwrap. 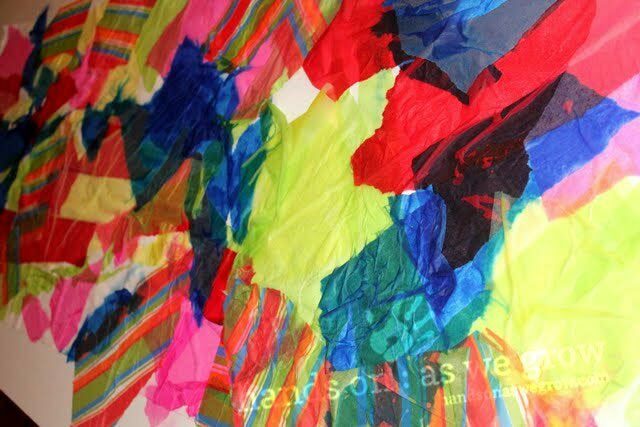 Art: DIY Wrapping Paper from Tissue Paper – This looks like a lot of fun to make, and would be great for wrapping up a very large present. 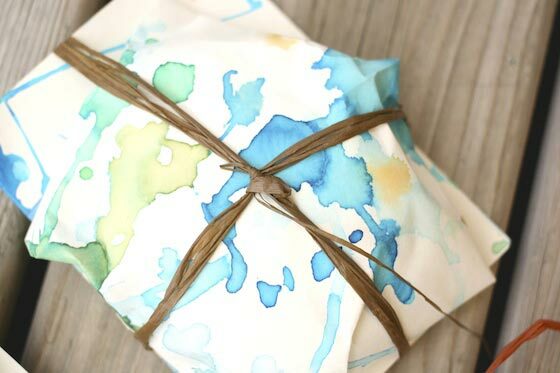 Completely Upcycled Homemade Wrapping Paper – This is GENIUS. Wrapping paper decorated with baby food paint, so it’s perfect for getting the littlest members of the house involved as it doesn’t matter if they put the paint in their mouths. Looks great too. Wrapping Paper Art. 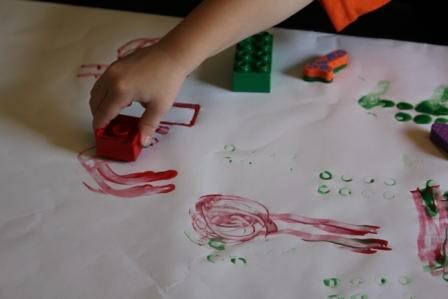 – This one is perfect for budding artists who can really let their imaginations run wild. Next PostNext Add Some Flair to Your Sofa With These 30 Easy Homemade Blanket Ideas to Snuggle Up In!